is a natural pot-mix that helps with the process of nutrient absorption. Essentially, a wonder soil in which plantation or seeding can be done, it contains all the requisites that a plant needs to improve its vegetative and reproductive growth. Enhances the nutrient uptake of the plant. Minimizes the water requirement of the plant. You can expect and enjoy a luxuriant plant growth. Select a pot with drain holes, in which the plant has to be planted. 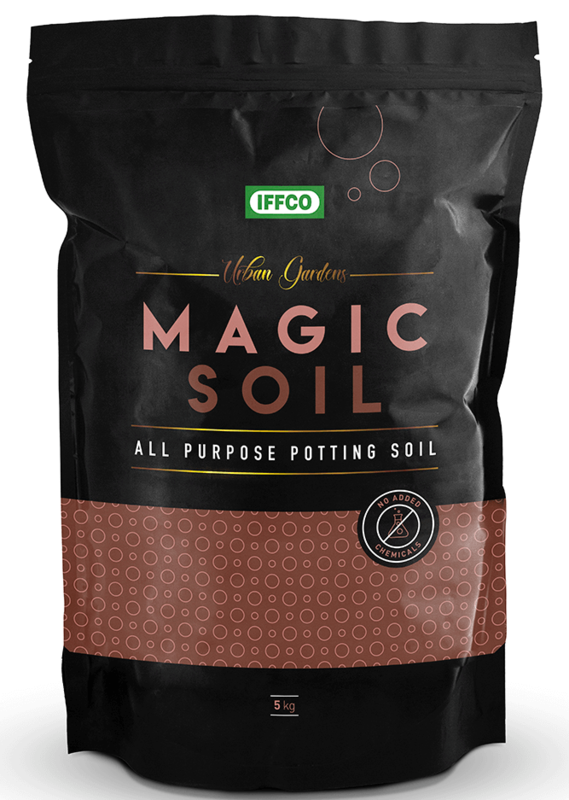 Take Magic Soil and fill the pot conscientiously. Plant your seed or seedling at an optimum depth and moisten the blend precisely.